There's mixed news on the West Nile virus outbreak in the United States. 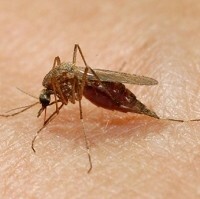 While the number of people infected by the mosquito-carrying disease is growing, the expansion of the 2012 outbreak is losing steam, according to US health officials. A total of 4,891 people have now been infected with the illness, compared to the 4,725 infections last week, the Centre for Disease Control and Prevention (CDC) said. However, the CDC data shows a slowing down of the outbreak as the 166 new cases in the last week are below the 199 cases reported the previous week. Also down was the week's death toll, which was four, compared to the 36 of the previous week. The CDC reports that slightly more than 50 percent of this year's cases have been the severe neuroinvasive type of the virus, which can lead to meningitis and encephalitis. The less dramatic variety of the West Nile Fever is seldom deadly and causes symptoms similar to those of the flu. Ten states have borne the brunt of 70 per cent of the cases: California, Colorado, Illinois, Louisiana, Michigan, Mississippi, Nebraska, Oklahoma, South Dakota and Texas. A spokesman for the Texas Department of State Health Services, Chris Van Deusen, said, "We're still seeing new cases, but we're seeing the pace slow down quite a bit." Travellers to the US and these states in particular should consider taking out medical travel insurance before departing.